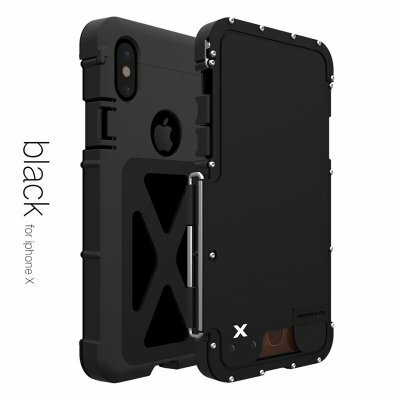 Successfully Added Metal Mobile Phone Case for iPhone X - Shock Proof, 360 Degree Protection, X Design to your Shopping Cart. This iPhone X Case comes with high-quality Stainless Steel, Ultra slim and quite light for iPhone X phone case, easy to put on and carry comfortably. It features Smoothing facade and perfect crafts and cool design for outdoor activity. Protect your phone from scratches, damages, dirt.